It's never easy in Evanston. Not for Michigan anyway. 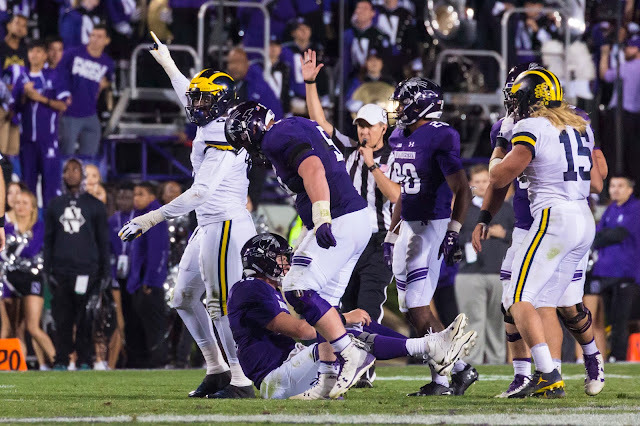 Aside from a 42-24 win in 2011...the last convincing Michigan win in Evanston was a 40-7 victory way back in 1992. I don't why or how Northwestern does it, but they get up for Michigan games. Ugly losses at home to Duke and Akron were just an enigma, apparently. I didn't watch those games of course...no one did...but I suspect Pat Fitzgerald did much less jumping around and arm pumping in those two games than he did yesterday. I won't make excuses, Northwestern is a well-coached team in games like this. They don't do much to beat themselves. They play tough, defend against the run well and rarely give up the big play. Call it a trap game...maybe Michigan was looking ahead to bigger matchups? Either way, Michigan really struggled to get anything going early on in this one. Northwestern is a good team, but not 17-0 early in the 2Q good. Sure the Wildcats may have been playing out of their minds...but Michigan was equally as flat. Much like the opener in South Bend, there didn't seem to be any energy or grit on either side of the ball for the Wolverines in the first quarter. And that comes down to coaching and preparation. 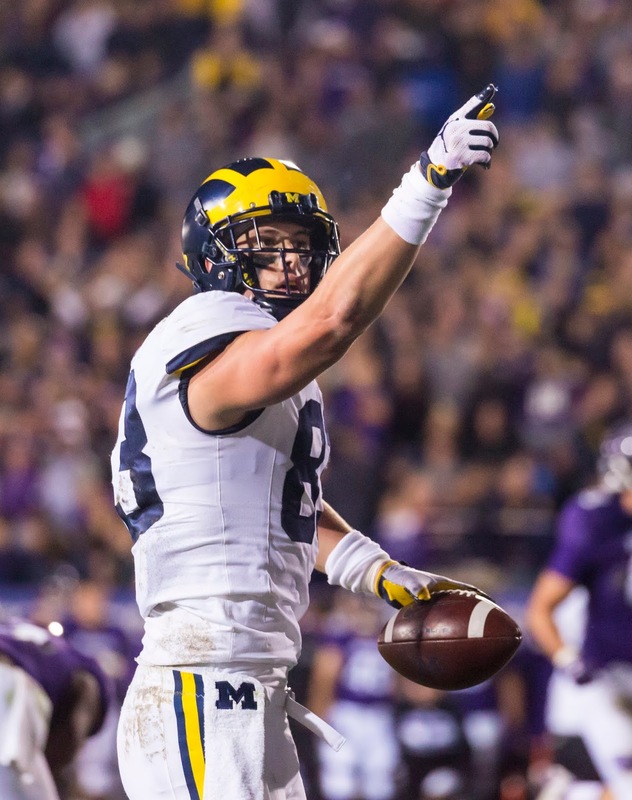 Michigan can't just ease into road games...I don't care if it's Notre Dame or Northwestern...everyone is going to get hyped up to play the Wolverines. Michigan has to be able to match their intensity right from the opening kick. But, with that said, when Michigan finally showed up, Northwestern was incapable of doing much offensively. The push and pressure from Michigan's defensive front was truly the difference in this game in the second half. Say what you will about the Wildcats...coming back from down 17 on the road is a huge step forward for a Michigan program that has really struggled in situations like this. There are actually a few contenders here. Shea Patterson looked better as the game went on. Will Hart was absolutely terrific all game long. Chase Winovich was simply unblockable. 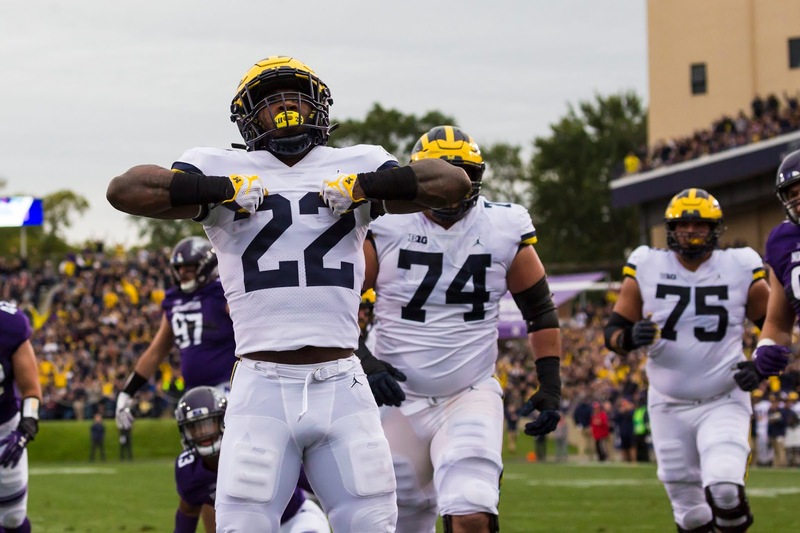 And Karan Higdon played tough all game long gaining 122 yards and 2 touchdowns despite not breaking off a lot of big runs and being stifled on obvious 1st and 10 run plays. I thought Shea looked great late in the game. This is exactly why you want a QB like Patterson...for games like this. Northwestern is going do everything to stop the run, and to get anything going, you need a QB who can ball out. That's what he's best at. Shea can drop back in the pocket and make those throws...but he's truly best when he's improvising and forced to run. We gotta talk about the penalties. Eleven penalties for 100 yards stunted Michigan's success and kept this game closer than it should've been. This is officially a trend now for Michigan. They're averaging 9.2 penalties for 84.2 penalty yards per game, which ranks them 118th nationally and 12th in the Big Ten. Defensive penalties seem to be the primary concern. When Michigan doesn't give up a penalty on defense, opposing teams have only scored 10 points, when Michigan does give up a penalty, they've allowed 47 points. Keeping drives alive for opposing teams is now a huge concern for this defense...a defense which ranked #1 overall nationally and is pretty rock solid otherwise. At some point, and I think we might be there now...there's a real argument to be made that the refs really do hate Michigan. I mean, convince me otherwise. I'll be waiting. Shea was only 15 of 24 for 196 yards and no touchdowns, but his pinpoint throws to Gentry and scrambles late in the game proved to be difference in this Michigan offense. Northwestern was selling out against the run, forcing Patterson to make plays with his arm and legs...which he did very well. Dude had himself a game! Chase finished officially with 9 tackles, 3 TFLs and a sack...but his real impact wasn't noted in the stat sheet. He was literally unblockable. His sack on Thorson early in the 3Q...he went untouched into the backfield. That ended a early NU drive and sparked a momentum shift which led to a Michigan field goal on the ensuing drive. Will Hart is going to win the Ray Guy award. Book it. Hart punted 6 times yesterday for an average of 51.0 yards per punt and a couple inside the 20...one was downed at the 5. Will Hart is a weapon, plain and simple. He kicks high, and he kicks far. Although he should be carful...a few times he catches the snap with his knee almost touching the ground. I noticed this a few times last week against Nebraska. Get those snaps up Cheeseman! Also worth noting, Quinn Nordin was clutch in his 2 field goals yesterday. Those points mattered. 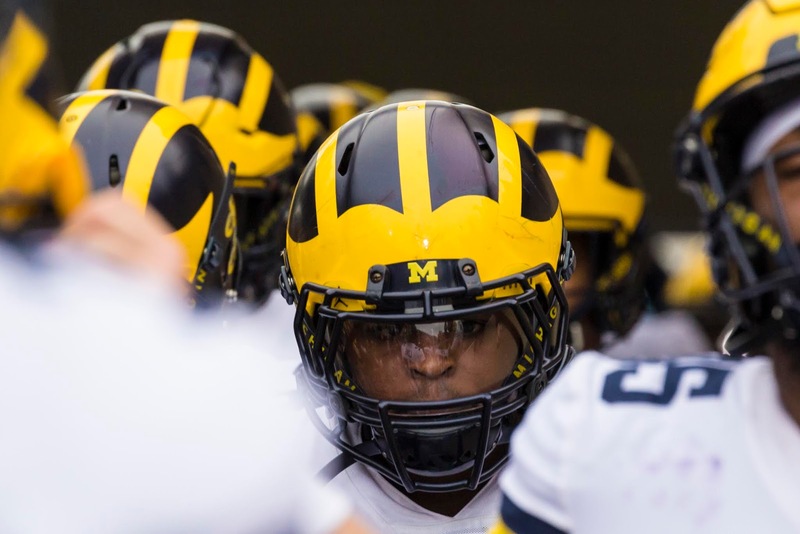 Michigan has an abundance of depth along the defensive line and that was never more visible than yesterday. 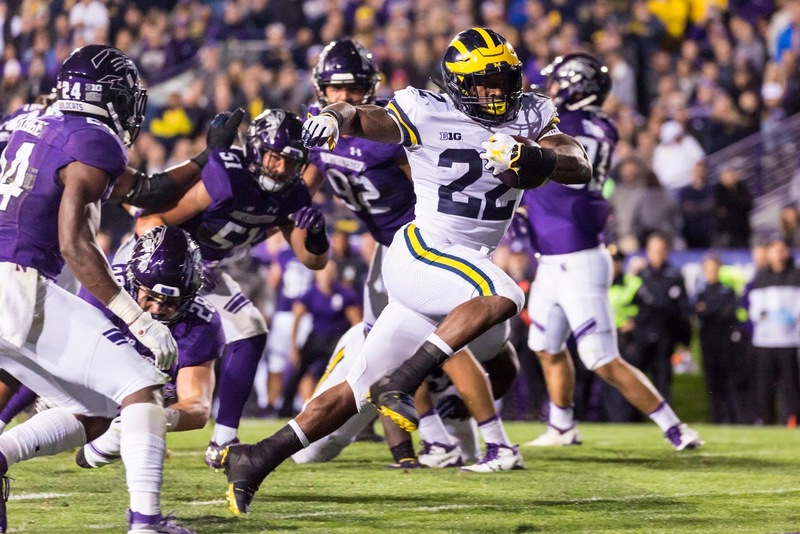 When Rashan Gary was banged up and left the game, guys like Josh Uche and Kwity Paye stepped up and made big game plays. Carlo Kemp and Michael Dwumfour also had really nice games. Michigan was able to really stifle NU's passing game in the 2nd half thanks to a great pass rush from the front 4...allowing them to drop linebackers into coverage giving Thorson nowhere to throw...or run.